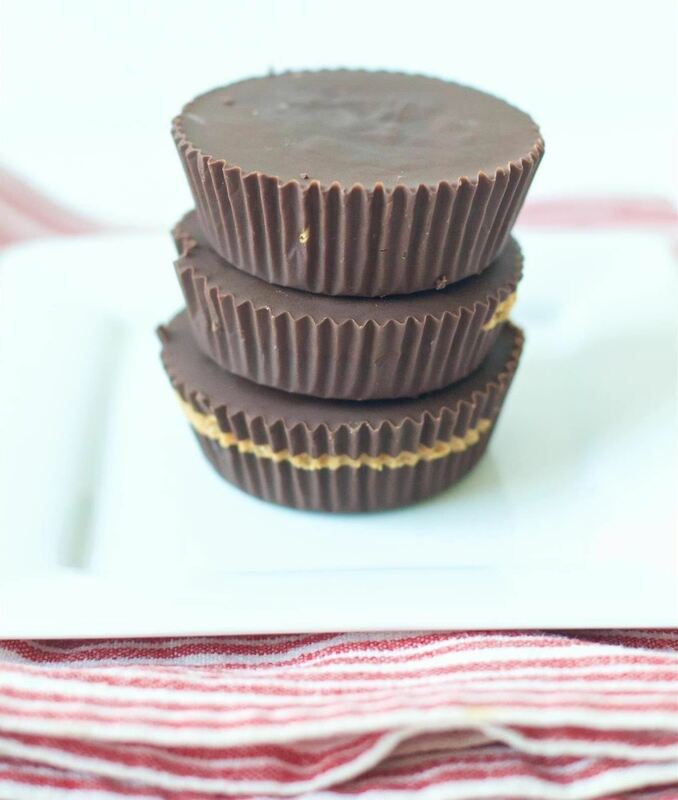 Rich, creamy chocolate cups stuffed with smooth, salty-sweet peanut butter in a bite-sized package—yep, Reese's Peanut Butter Cups are an amazing fix for your sweet tooth at best, and a guilty pleasure at worst. It's easy enough to buy them on a whim at the local grocery store, but it's even easier than you might think to make them right at home. That's right, you can make your own peanut butter cups with only three ingredients and no preservatives, no extra sugar, and no unpronounceable additives. Not only are these homemade versions better for you (since they omit the butter and sugar that most other recipes call for), they're cheaper on average as well. So stop feeling so guilty about your addiction to peanut butter cups and learn how to make these simple yet satisfying treats below. 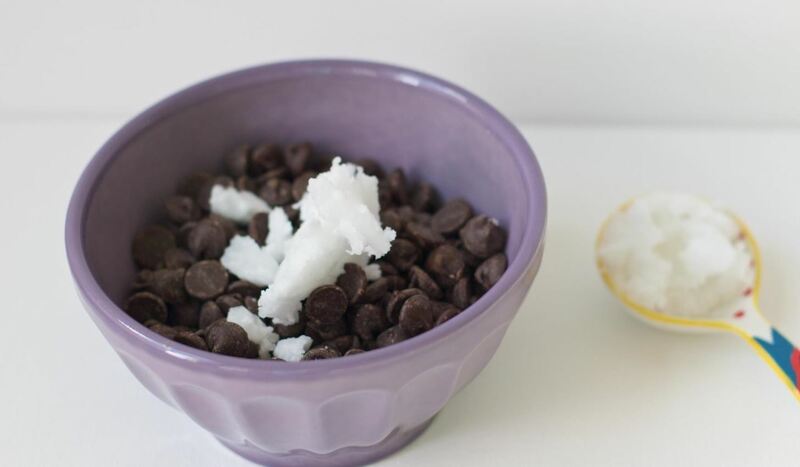 Mix your chocolate with 2 tablespoons of coconut oil on low to medium-heat in a small pot or by using a double boiler. (You can even use a hair dryer.) Stir until smooth. Remove your chocolate from the heat and set aside. 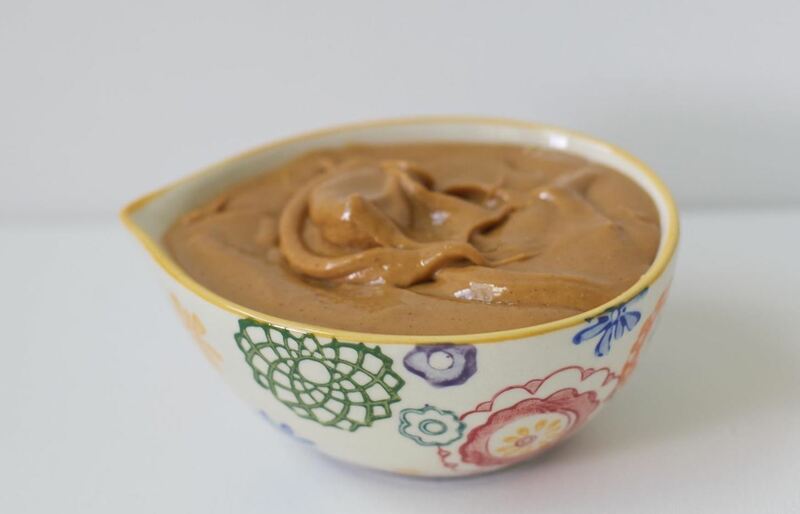 In a small bowl, mix your peanut butter with the remaining coconut oil and stir until incorporated. 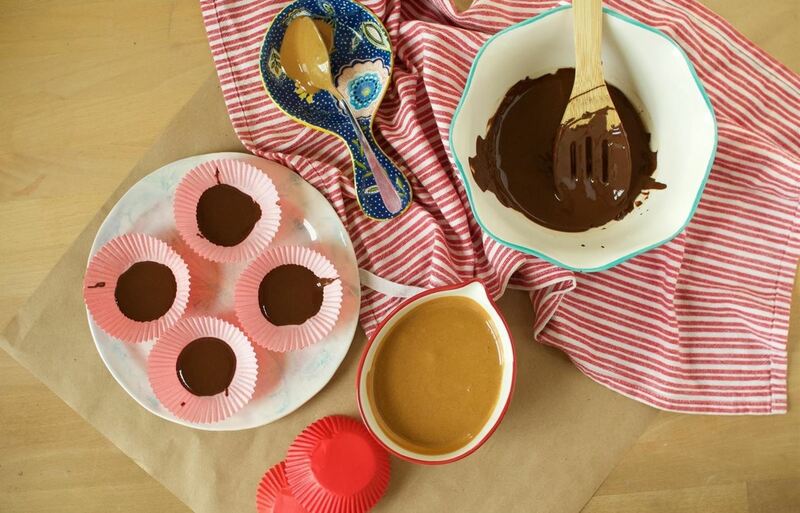 Spoon a small amount of melted chocolate onto the bottom of each liner and place in the freezer just to set; we recommend using a cupcake tin during this process, as it will keep your peanut butter cups more round than oblong or misshapen. This should make about 10 smaller cups, or 8 larger cups with heavy peanut butter. Reserve the rest of the leftover chocolate—you'll be using it to make the top layer in a few minutes. Once the chocolate has set (about 10-15 minutes), remove the cupcake tin from the freezer. Then, add a small scoop of peanut butter onto the chocolate and top with the leftover chocolate that was reserved at room temperature. We went a little heavy handed with our peanut butter because we wanted our treats to be filling. But, if you do just a small scoop of peanut butter followed by your melted chocolate on top, yours will more closely resemble the original Reese's Peanut Butter Cups. Step 5: Into the Freezer They Go! Place your cups into the freezer for another 20-25 minutes; now they're ready to eat! These are best stored in the freezer when not being served; remove them around half an hour before serving to let them thaw a bit, and pop them back in if you notice they're getting soft. There you have it—8-10 peanut butter cups in less than an hour. 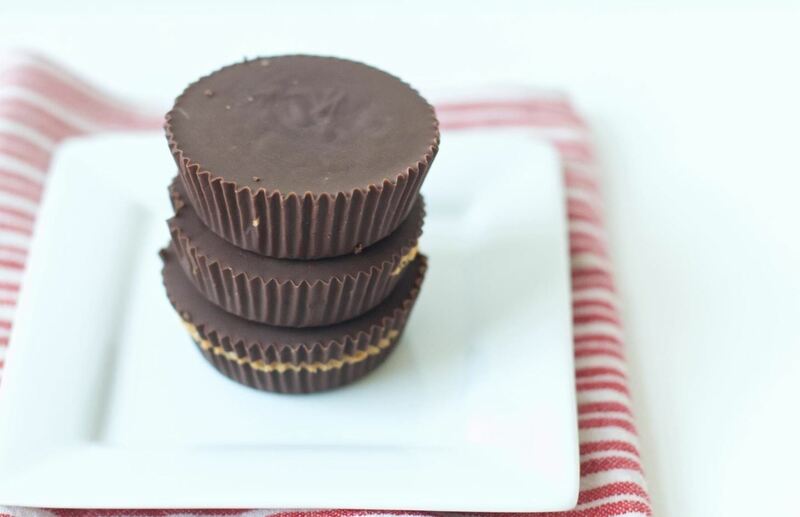 These cups are a little less sweet than the traditional Reese's Cups because we've used dark chocolate instead of milk chocolate, but the slight bitterness serves to highlight the salty-sweet flavors that define peanut butter so well. 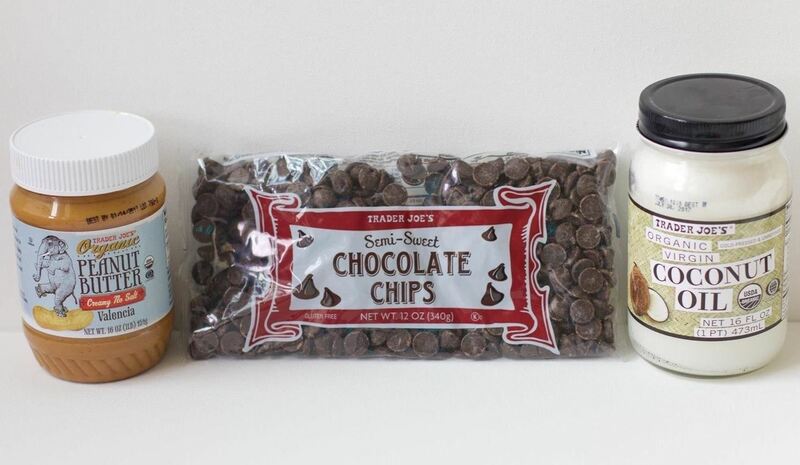 Dark chocolate also happens to be much better for you than milk chocolate, so we like to think that these candies let you both eat your cake and have it, too. 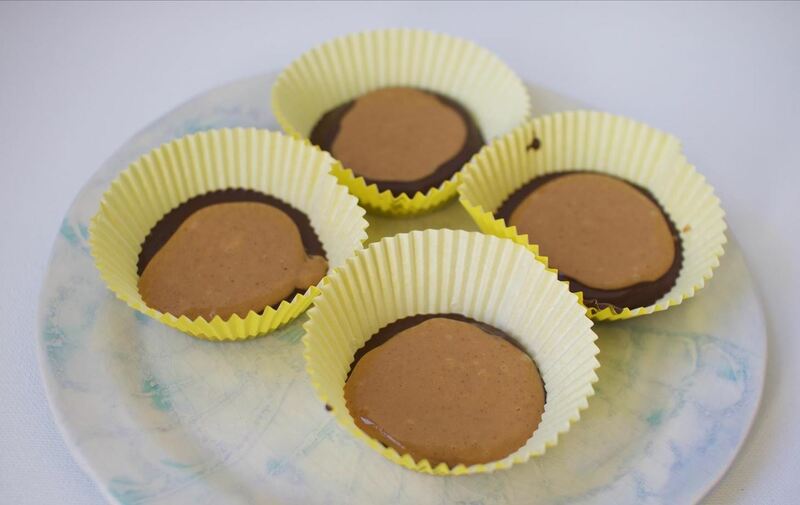 Although the go-to filler is peanut butter, feel free to get creative with your cups: use a different nut butter, or add a bit of jelly to make chocolate PB&J cups. Making these delectable treats at home gives you a lot of freedom with the overall taste—so let us know if you have any great suggestions for taking these cups to the next level. I'm allergic to coconut- is there anything I could substitute for the coconut oil? This sounds GREAT otherwise! ooooo, this site has a really interesting technique for pulling up the chocolate to the sides of the cupcake liner and then using a piping bag to put the peanutbutter inside! I think it would work great with this recipe today! I'm curious how this article has popped up again as new. I thought to myself "I have seen this article!" but it's dated today! Then I go to the article, and I see my own comments from two months ago. Why is it marked new now? Edited and re-featured? Hover over the date and it gives a general time of 'original' publish. Hey DK, about two months after they publish we usually re-feature older posts on the front page with new headlines to get them in front of new viewers, for whomever may have missed them the first time around!